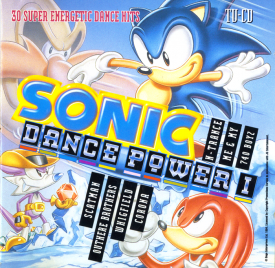 Sonic Dance Power I is the first in a series of techno-dance compilations released in the Netherlands using the Sonic the Hedgehog brand. A two-disc set, none of the songs are actually based on Sonic or any related SEGA franchise. This page was last edited on 26 January 2019, at 21:55.